This is just a short post to show everyone how I manage my scraps when I’m finished making a quilt. I use the sides of the extra backing and trim them up as neatly as possible to make my own pre-cuts. I make a clean cut as close as possible to the rough edge. I generally prefer a 5″ square to start. Anything I have left over, I will turn into 2.5″ strips. If I have big enough pieces, I will make 10″ squares out of those. I rarely have enough left over for a fat quarter. How do you manage your leftover scraps? I bought a Quilter’s Planner late last year when that type of thing usually floats around the interwebs trying to get you organized for the new year. I think I saw a blog on this one and liked it because of the awesome way #LoriHolt organizes her scraps and she shows you how-to inside. Have I done that yet? Um, no. I’m usually not much for planners. I’m more of a spontaneous quilter that runs after shiny, pretty things than a planner. Actually writing things down that I plan to do over the next year usually ends up making me feel crappy about how much I actually didn’t get done after all. I wrote these five projects down in January and haven’t touched a one of them. However this particular planner has a part for something like a daily log or diary and I thought I’d put it to use to truly capture any little thing I did that pertained to quilting or sewing. There are lots of quilters on FB that say they don’t have time to quilt or sew and I usually try to tell them to do just one little thing a day and then after a couple of weeks, the project is finished…provided a shiny object doesn’t intervene. Taking my own advice, I decided to log what I had done that day. I keep the planner on the end table in the living room so I can jot down a short note while watching TV with hubs. I started on Jan 1st. I’m REALLY surprised at how much I actually do every day that pertains to my quilting or sewing when I don’t think I’ve gotten anything done! I try to make a note for every day if I can, and if I can’t, I try to write why I couldn’t like a conference I attended March 8-11. See March 13? I watched quilt ruler videos on YouTube. It’s not stitching, but it pertains to my learning so I captured the activity. I’m feeling much more accomplished than trying to keep up with a planned list. Have you thought of doing this or do you do it? How do you stay organized with your stitching time? F-i-n-e-a-l-l-y I finished the top for Legendary by Elizabeth Hartman. I just love her quilt patterns. The designs are clean and fun with a touch of whimsy and just make me happy. I could do nothing but make her quilts from her on out and be completely happy. I especially love Flamingos and I have the pattern but not the fabric…yet. However, I’ve got a lot of irons in the quilt fire pit so I’m holding off on buying the fabric. So many irons in fact, that I’m out of space and must force myself to finish some and get them out of my life before I can take on any others. My poor sweat shop is overflowing to the point of the clutter stressing me out. I hate that. Clean surfaces and quilting are a contradiction in terms. I love them both so I have to get busy. I picked up Legendary as a kit at a quilt store in Denver last August when I went to see my son & his family. He’s got a sticker of the Mountain Man on the back window of his SUV so I thought he’d like it. I was right and he’s anxiously waiting for me to finish it up. 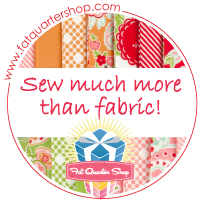 Tomorrow I will hit up my fave quilt store for 4.5 yards of backing. I already have the binding as part of the kit. The Alpha-bitties came in handy to keep all the tree branches organized. Of course the most fun was the Mountain Man. He was not paper-pieced at all but instead had odd wonky sewn angles for his hands and head. This entire quilt top finishes out at 71″ x 60″. Once I get the backing the next step is to put it on the longarm. I want it finished this week. 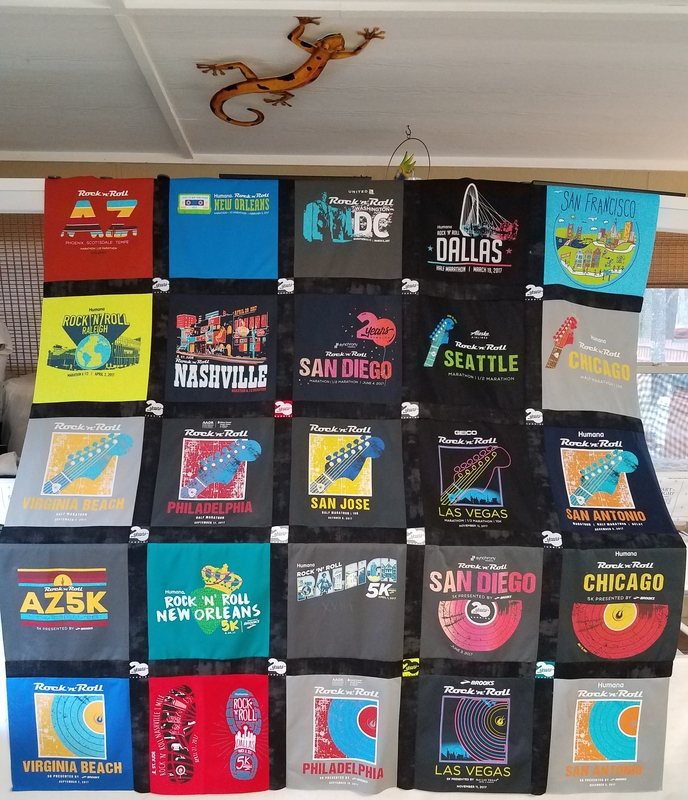 My BIL’s t-shirt quilt. Needs outer border, ruler work in sashing/borders, & bound. Ocean Friends. Applique quilt with a ton of work left. Corner of 5th and Fun. Easy panel quilt with pinwheel blocks. Dinosaur applique quilt from Shiny Happy World. Woodland Critters from Shiny Happy World.